Surgical resection can obtain long-term survival chance for bile duct cancer patients and the principles for bile duct cancer treatment is that surgical excision is given the most priority as long as it is feasible; postoperative radiotherapy or chemotherapy is also given to stabilize and improve the treatment effect. The late unresectable cases shall be conducted with biliary drainage surgery to remove obstruction of biliary tract, control infection of biliary tract, improve liver function, reduce the complications, prolong life and improve the quality of life. Surgery of bile duct cancer is so complicated and difficult that it has become the most challenging operation among abdominal surgeries. The method for operation mainly depends on the tumor position of bile duct cancer. Bile duct cancer is not sensitive to radiotherapy and chemotherapy, because obstructive jaundice can be easily caused; if surgery is not applicable, stent implantation inside bile duct for radiotherapy (usually the conformal radiotherapy) won’t be a bad choice. There are only a few chemotherapy drugs can impose certain curative effects to bile duct cancer: during operation, drugs would be intubated into hepatic artery lien drug pump catheter (subcutaneous buried pump) through the artery of stomach omentum; during postoperative period, medicines will be given through this pump. Radiotherapy shall be regarded as the auxiliary means used in surgery or for the cases that operation resection has no meaning. 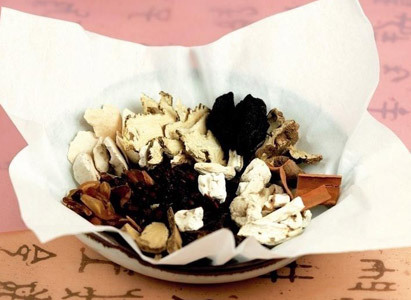 Chinese medicines treatments of bile duct cancer strengthen the spleen and replenish vital energy so that enrich the blood, and at the same time clear away heat and promote dieresis to help detoxification and inhibiting tumor, etc. The Chinese medicine treatment can achieve the purposes of consolidating the body and removing discomforts, integratedly inhibiting the growth of tumor. This not only can effectively inhibit and kill cancer cells to improve the imbalanced inner environment and enhance the capacity of body itself on monitoring and controlling cancer cells, but also it can induce cancer cell apoptosis or its differentiation, which make cancer cells gradually atrophy and therefore patients can obtain relatively better therapeutic results with lighter symptoms and prolonged survival period. Interventional therapy conducts medical imaging devices to guide the emplacement of micro catheter onto the blood vessels of lesion area through a 2mm incision in the skin so that carry out treatments. This can concentrate the drugs on lesion area and also reduce the damages to other healthy organs or tissues. Interventional therapy features little damage and doesn’t need to perform an operation to expose the foci. Usually an incision of several millimeters on the skin is enough for finishing all treatments. This on one hand beautifies the appearance, on the other hand, reduce the risk of anaesthesia, therefore it has become the most popular treatment method.